Dr. Anton attended the University of Calgary, where he obtained a Bachelor of Science degree in 1975 and a Doctor of Medicine degree in 1978. He completed a rotating internship at St. Paul’s Hospital in Vancouver, British Columbia, in 1979. 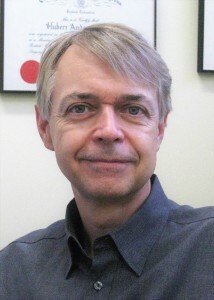 He received his Fellowship in the Specialty of Physical Medicine and Rehabilitation from the Royal College of Physicians and Surgeons of Canada in 1987.Dr. Anton has held a number of academic and administrative positions during his career. He has been Head of the Division of Physical Medicine and Rehabilitation at the University of British Columbia and Medical Director of the GF Strong Rehab Centre. He was Chair of the national Special Committee in Physical Medicine and Rehabilitation, Royal College of Physicians and Surgeons of Canada. Dr. Anton’s research interests include evaluation of function and fatigue in person with neurological and neuromuscular disorders. He is a Clinical Research Coordinator at the GF Strong Rehab Centre. Clinical Professor, UBC Division of Physical Medicine and Rehabilitation; Expertise in fatigue, outcome measurement and physical medicine. Learn more about Dr. Anton.